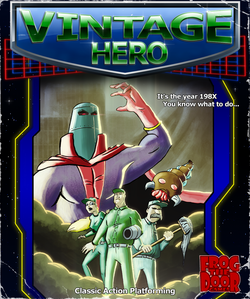 Vintage Hero is now available on Steam for $1.99. Look! A widget! 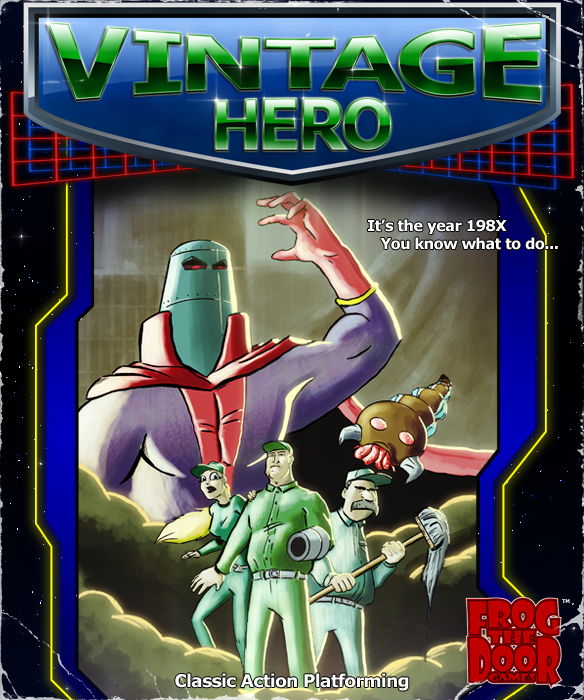 So I went ahead and took the plunge and applied Vintage Hero for release through Steam Direct. As a first step, my store page has been approved and marked coming soon. As per their rules it has to be up for at least two weeks before I can release anything. The game is ready to go at this point so I could release as soon as the waiting period is up. I figure in the downtime I can finish a few things that might make the $1.99 purchase more appealing. A request for mapping movement on the keyboard to any key should make the changes (also to the Windows Store version). I'm also thinking achievements would add some replay value to the game. I'd like to do trading cards too but the game has to go through a trial period for a while before Steam offers this. I'd also like to run through the game and capture a 60 fps HD video and add an edited version to the store page because the current trailer is ...lacking in this department. So if all goes well I should be launching in a couple weeks -- almost exactly four years to the day since the XBLIG version! If anything at least, the game will have a place to live on in posterity since the possibility of XBLIG even existing in the future is anybody's guess. Thanks everybody who've bought and enjoyed the game and for all the encouraging words you've sent my way! 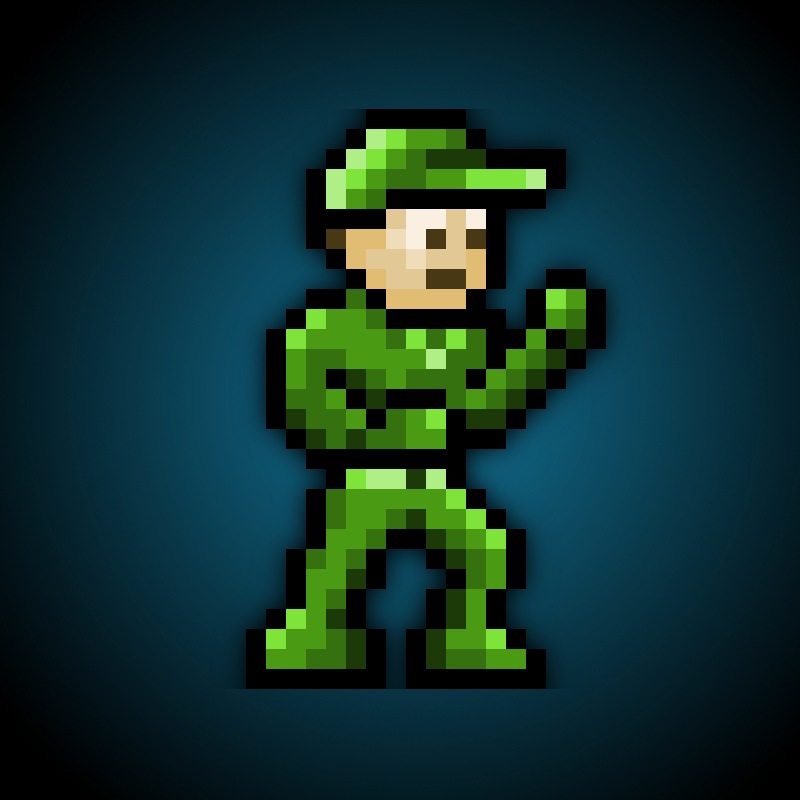 For a while now, Desura has been out of commission as far availability for Vintage Hero. So I've been working on a port from the original XNA code to the more modern Monogame. What does this mean? Well, for one it means I can bring it to a wider variety of platforms. One of these is the Windows Store. I've since passed submission for the store and I'm happy to say Vintage Hero will be available on Wednesday, February 15th! It also means I will be looking into other store fronts and platforms on which to release but meantime, Wednesday is the day Vintage Hero will be back available on the PC! It's the year 198X. You know what to do. When Earth comes under attack by alien invaders, the peaceful denizens expect their old hero, Giga Man to once again save them. When it's clear he's too wrapped up in the tempting night life of the robot glitterati, it's time for a new hero to arrive. Help Floyd, an unassuming custodian at the county jail, his mentor Mac and his lifelong friend Kricket defeat the evil General and his invading alien army! Action, platforming, and everything you love about the 8-bit gaming era brought back to the modern world with a classic chip tune soundtrack and a gripping story. You can also download the complete original 8-bit soundtrack for free! Check out the main entry on Vintage Hero for more. When Earth comes under attack by alien invaders, the peaceful denizens expect their old hero, Giga Man to once again save them. When it's clear he's too wrapped up in the tempting night life of the robot glitterati, it's time for a new hero to arrive. Help Floyd, an unassuming custodian at the county jail, his mentor Mac and his life long friend Kricket defeat the evil General and his invading alien army! Finally, to the right is the back of the box. No one will really see this outside of press releases and on my website but I thought it was a cool thing to make anyway. Click to see it bigger. 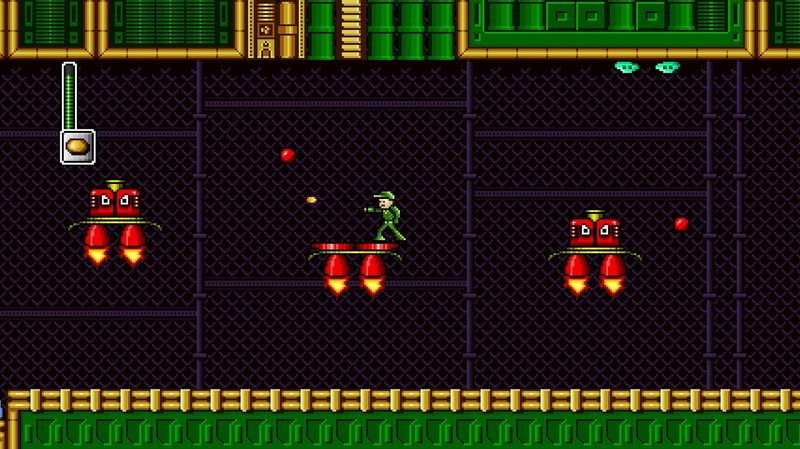 Vintage Hero is coming to Xbox Live Indie Games followed by "other" platforms in the near future. The release date will be announced soon. Once again the deadline for Dream Build Play rolls around and this time I actually have something to submit! 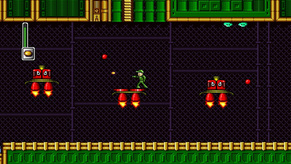 While it's not finished, Vintage Hero is actually pretty tightly polished up through the fourth level. The last two levels and final boss sequences are still being worked on, so I didn't include them in the DBP build. Browsing through the gallery of the entries so far has left me tremendously impressed and even a little bit intimidated. There's some really good looking games being submitted that seem like they'd be a ton of fun to play! At the very least, it's confirmed my plans to find an artist to punch up the graphics a bit once I get closer to completion on the game. I'll leave you with the recent trailer made for the contest entry and say good luck to all the devs who are submitting this year! There's gonna be some great games to come out of this year's challenge! I've finished the port of Space Racer and it's now available free for download in the Windows Phone 7 Marketplace. The port includes all twelve original tracks plus the additional bonus tracks released as an update to the original Xbox version. There's four different ships to race each with their own characteristics. It also has online leaderboards of the best times and hi-scores for every track as an exclusive feature only available on the phone. I think the game acually works pretty well as a phone game since matches are short and it's easy to jump into a race and jump back out when you need to. If you want to check it out, the whole game is free to play. Download from the phone marketplace or from the online store.